There are only 550 in the world who, having carried out at least one orbit around the Earth, have the right to wear the title of “astronaut”. The majority of them are Americans and Russians, only 49 are Europeans. 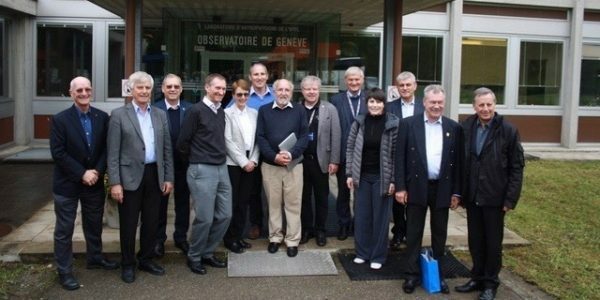 Of these 49, twelve of them traveled to Geneva to visit the astronomical observatory of the University in the morning and the CERN in the afternoon. Among these members of the European Space Explorers Association, Claude Nicollier served a little bit as guide, as he studied astronomy in this observatory where he and his colleagues were received by Stéphane Udry, Michel Mayor , Francesco Pepe, all members of PlanetS, and Georges Meynet, a professor specialised in stellar evolution. After a short welcome address given by Stéphane Udry, the twelve astronauts and their accompanying (spouses and families) were given a description of the activities of the observatory by Georges Meynet. “We see immediately that they are lively and well informed,” the professor said, “their questions are relevant and high-level, such as how we know if the amount of iron that is measured on the surface of a star is identical to that which is in the heart of the star “. The same observation was made by Michel Mayor, who gave a presentation on the search for exoplanets, followed by a very attentive audience. Then, according to a minute timed timetable visitors went to the clean room with Francesco Pepe. They were able to appreciate the work involved in the integration of an instrument such as ESPRESSO. It was a last chance visit, since ESPRESSO has to leave in Chile to be installed on the four VLTs at the beginning of August. As for Claude Nicollier his speech is a little less relaxing! 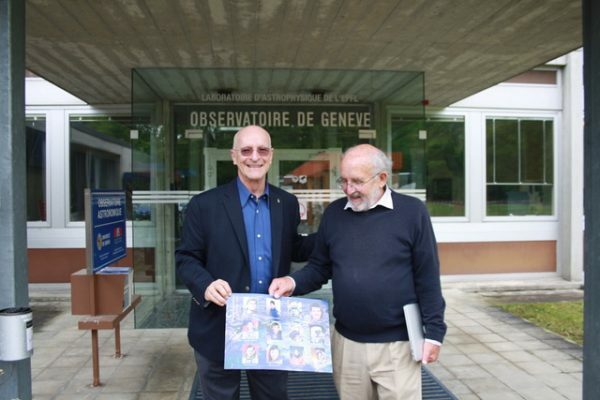 Taking advantage of his visit to Geneva with the Space Explorers Association, he warned decision makers of the possible impacts of asteroids on Earth. “It will not happen tomorrow, not ten years from now, but maybe in fifty or a hundred years: we have to be prepared,” considered the former astronaut, saying the likelihood of a destructive impact is 100 %.